U2's was only getting started before a sold-out concert crowd in Berlin last night when Bono found himself struggling to sing Beautiful Day and then called it a night. 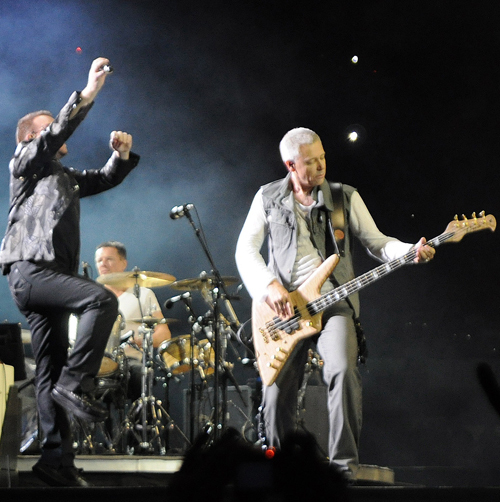 U2 has promised a make-good show for all ticket holders on November 13th.. According to a post on the U2 web site, the loss of voice was not caused by anything serious and a doctor expects him to regain it quickly and strongly enough that other dates on this leg of the tour should go on as scheduled.